I picked up an Agfa Isolette V during a business trip last year. I decided to drive from Indianapolis to Knoxville for a business meeting instead of flying. While I was on the road I saw this huge flea market next to the highway. I'm always on the lookout for cheapo film cameras so I pulled off to take a look. I found this booth with lots of flea market junk scattered around. Within the junk was this camera. It was folded up, but I knew immediately it was a camera. I picked it up, pushed the button on the top and it unfolded as in the picture above. It looked clean. The moving parts all moved. The baffles looked intact. The insides looked clean. And guess what, it was only $18. I bought it immediately. My business trip was already a success. One of the fun things about the camera is that the name is embossed on the front of the camera spelled "Jsolette". This is a medium format camera. 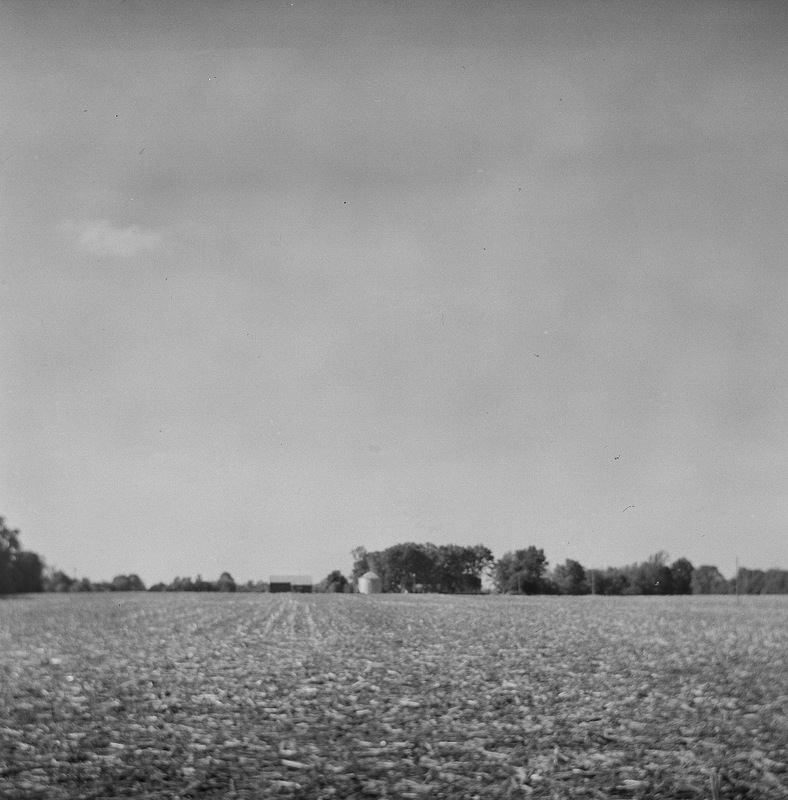 It takes 120 film and the results are a square photo. I can't pin down the date it was produced, but the range is 1950-1952. Great shape for a 50+ year old camera. Built like a tank. Metal and leather. This beauty is all manual. No light meter, or anything electronic. 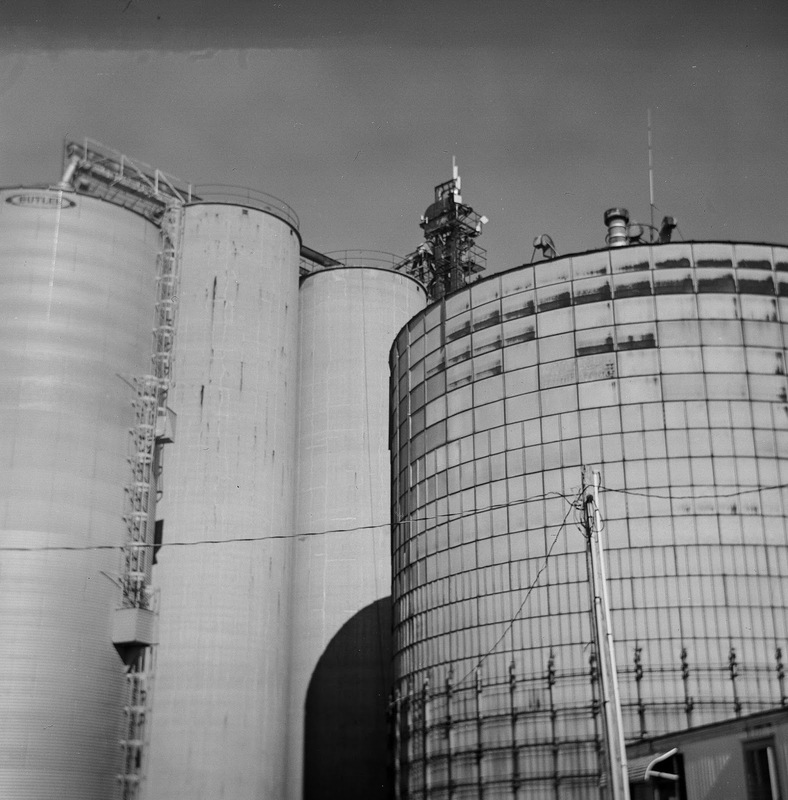 A few weeks ago I loaded a roll of Ilford 400 B&W 120 film. Weird results. 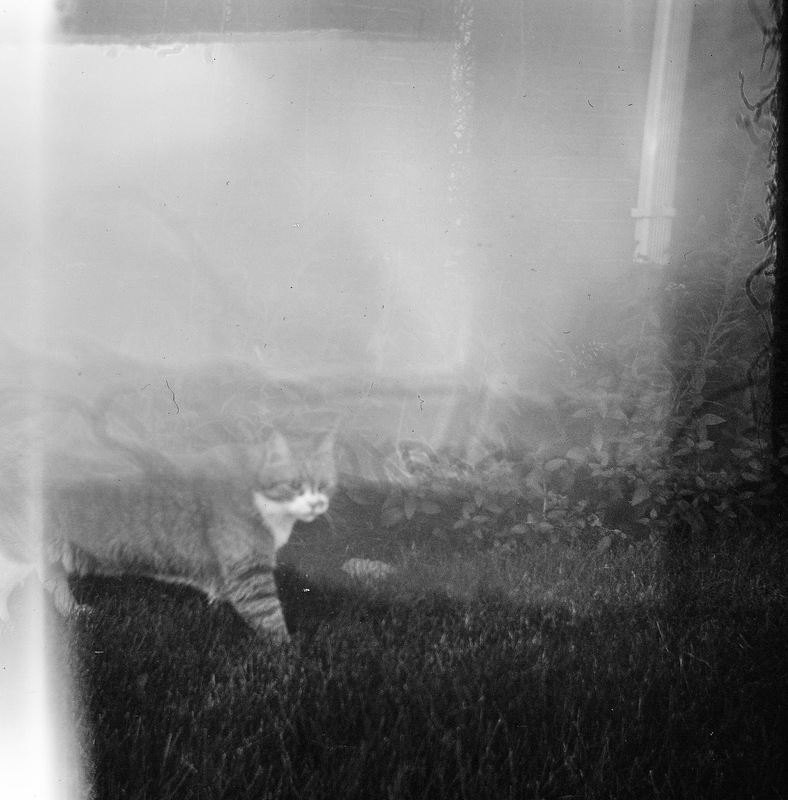 About 1/2 the pictures have excessive light leaks, mainly the first part of the roll. The rest of the photos had a bit of light leaking, but looked OK. Might have been the film. The photos looked soft and muted contrast. Actually not bad. Here are 3. 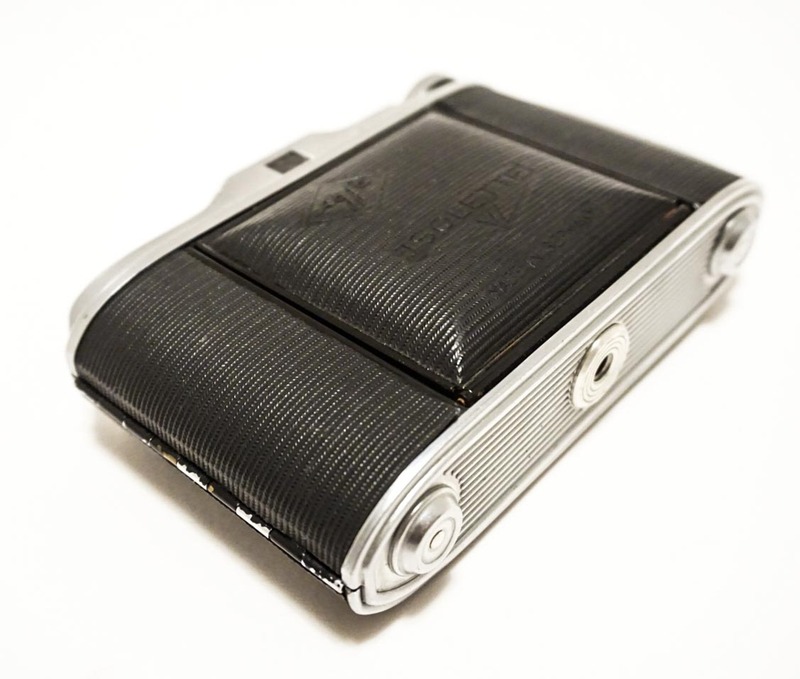 The Isolette was produced in Germany by Agfa. The early (and some of the other versions "I think") have Isolette spelled "Jsolette". 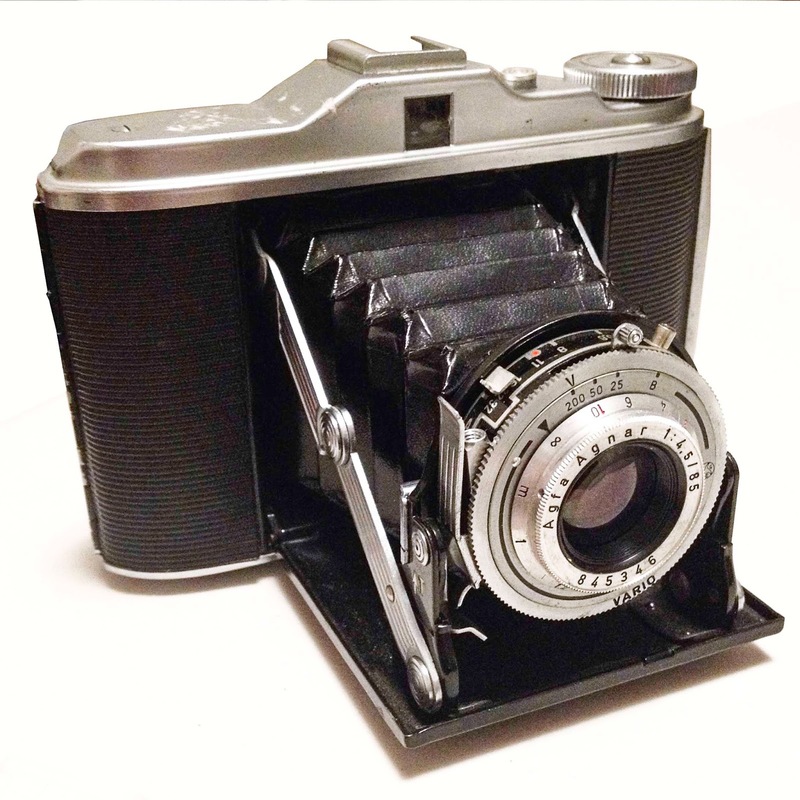 When I researched the camera I thought this was a 1st version produced in 1936. 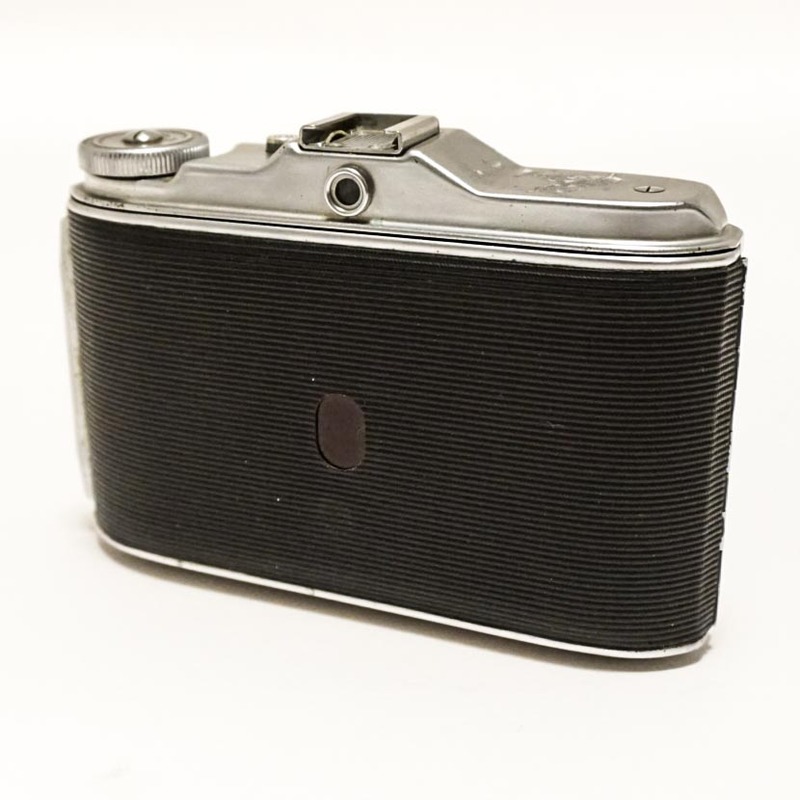 The research indicated Agfa changed the spelling of Jsolette to Isolette on the camera during the production of the 1st version. Mine says Jsolette, but I still think this is a version V. Yep, I'm confused too. The camera folds up nicely into a small package. By pressing the button on top the front gate opens pulling out the lens & baffles. Loading the 120 film is straight forward and smooth. After you take a picture you manually advance the film using the wheel on the top. There is no lock on the film after taking a photo so double exposures are easy on purpose or accident. The shutter is cocked with a very small lever on the top of the lens and then triggered by a small lever on the right side of the lens. There is a lock under the lever to avoid unplanned shutter releases. The camera is focus by turning the focus ring at the very front. Small and a bit of a pain. You have to guess the distance as the viewfinder is a simple look-through. Therefore, you focus in advance. The shutter speeds are set on the lens. You have B, 1/8, 1/25, 1/50 & 1/200. Aperture is set on the lens as well with a small switch from f/4.5 to f/32. There is no function to change the ASA (ISO). Therefore, to get good exposures you need to really have a good understanding of light/settings, use a light meter or use the sunny 16 rule. I tried all 3. There's a cold shoe on the camera, but not sure why because there's no sync port. There's a standard tripod mount on the bottom. The lens is an Agfa Agnar f/4.5 85 with a Vario shutter. This was a fun camera to play with and I'm sure if I used it for street photography I'd get loads of stares. Not the most practical of cameras and my first results were just so-so, but I still enjoyed it. 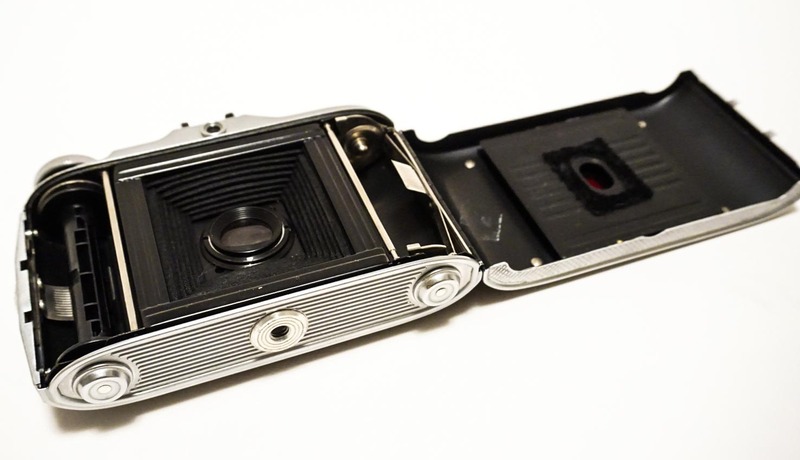 So there you go, want a medium format film camera with baffles and all manual? Pick up an Agfa Isolette.